A few weeks ago, I gave these roses to my wife for our 21st wedding anniversary. Then, as I have done many years previously, I borrowed them for a photo session! This photo was made in my living room using natural window light. 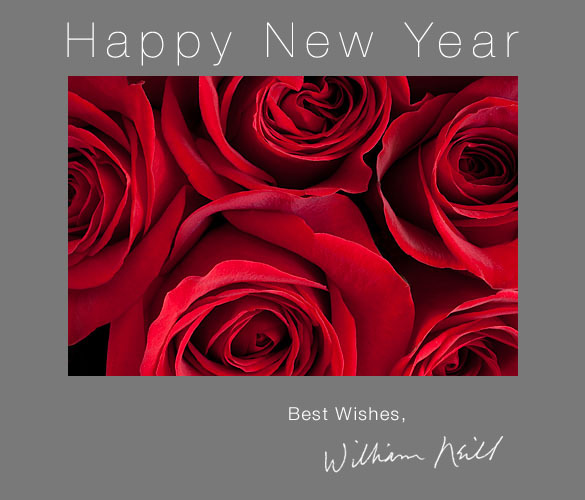 Since I was born in Pasadena, CA and have much family history there, I naturally associate red roses with bringing in the new year. I hope that 2010 brings you happiness and good health, great photographs and wonderful experiences in Nature. PS I hope to find time to compile a selection of my favorite images from the past year. Stay tuned! This entry was posted on Wednesday, December 30th, 2009 at 6:04 PM	and is filed under Nature, Nature's Design, photography. You can follow any responses to this entry through the RSS 2.0 feed. You can leave a response, or trackback from your own site.